This is Sam Clovis. He is Donald Trump’s political advisor. Forget what you think of Trump or his politics, this guy totally looks like the coach from iconic Japanese manga Slam Dunk. That coach, of course, being Mitsuyoshi Anzai, who is widely respected as one of the best coaches in Japan. “You haven’t improved at all...” says the coach. Slam Dunk, which debuted in 1990, has sold over 120 million copies in Japan, making it one of the most successful manga ever. 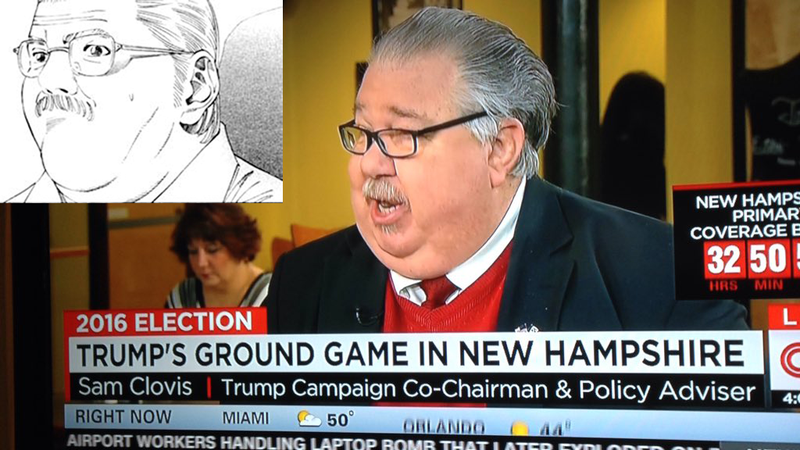 If this politics thing doesn’t work out for Clovis, he can always get a job as an Anzai impersonator.